Ricky provides a totally personalised service, and nothing is ever too much trouble. I feel supported at every stage. Ricky is an excellent IT professional, running his own business. He is an excellent engineer, with deep and wide experience. 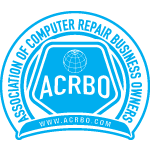 I always call on him when purchasing, upgrading or obtaining repairs to my IT products. He is reliable, timely and his work excellent value for money. I do not hesitate to recommend him to friends and colleagues. Michael Dover Chairman, Sheldon Properties (Surrey) Ltd.
RICKY provides a first class service on anything to do with computers from supply, to getting you up and running and keeping you that way ! He’s knowledgeable, personable and quick to respond when you run into those inevitable problems. Ricky has looked after my computer requirements for several years, and offers a helpful and reliable service. Ricky is always there when we need him! All computers are speedily fixed at a reasonable price, and I wouldn’t dream of asking anyone else. Highly recommended! Ricky provided very good and prompt service and always explained the process in layman’s terms. July 17, 2013, Mark was Ricky’s client Mimi McCord — Ricky is excellent in sorting out computer problems. It doesn’t matter how long it takes, he gets on with the job in hand. He is very prompt in returning calls and making a time and date to sort out my computer problems. Ricky’s charges are very reasonable particularly for the service he provides. I would highly recommend him. Ricky is excellent in sorting out computer problems. It doesn’t matter how long it takes, he gets on with the job in hand. He is very prompt in returning calls and making a time and date to sort out my computer problems. Ricky’s charges are very reasonable particularly for the service he provides. I would highly recommend him. Ricky has always arrived on time to work on my computer, been very pleasant trustworthy, and he is very knowledgeable in his work. Ricky Halpin has a lifetime of experience in business IT and I would certainly recommend him. Ricky has been a friend in need over many years whenever I, a technophobe or at least a technoignoramus, have run into difficulties with my computer (computers) be it the hardware or the software. I have also taken advice from Ricky on updating and purchase of new hardware with good results. Ricky always answers messages promptly and invariably shows up on time. His rates are very reasonable and I am generally very happy to recommend his services. One impressive extra that is worth mentioning is that should he know that he is gonig to be away for any reason or not available for a little period of time, he informs his clients which saves a lot of frustration. We look forward to helping you with all your Computer Requirements.